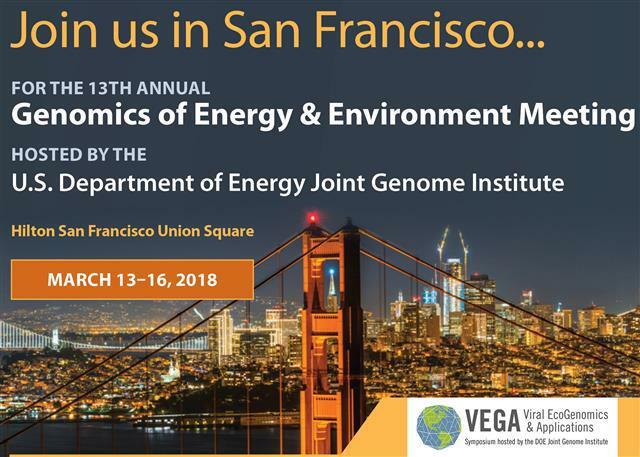 KBase will host several workshops at the The Joint Genome Institute's (JGI) 13th Annual Genomics of Energy & Environment Meeting in San Francisco on March 13-16, 2018. On March 13, we will host three workshops throughout the day focused on using Next-Generation Sequencing data in KBase, performing comparative genomics and gene expression analysis, and exploring microbiomes and communities. On March 14, we will host a workshop for developers to use the KBase Software Development Kit to add new tools into the system. Registration is open until February 1st, register today! KBase offers a comprehensive suite of tools for generating and refining metabolic models. Modeling researchers have observed that genome-scale metabolic models (GEMs) generated from automated reconstruction pipelines often lack accuracy in energy biosynthesis. It is therefore often useful to construct a simplified version of a GEM: a core metabolic model (CMM) that is comprised of only the high-confidence central pathways and electron transport chains. This newly published chapter in Springer’s Reconstruction and Analysis of Central Metabolism in Microbes describes how to use KBase to build and simulate core metabolic models (CMM) based on genome annotations. For more information, see http://kbase.us/core-models/, which includes a link to a Narrative that you can copy and run yourself. KBase scientists and staff will host two sessions and several posters at the 2018 DOE Genome Sciences Program meeting on February 25-28. On Monday, February 26, from 1-5 pm, there will be a KBase User Science Presentations session to highlight how DOE researchers are using KBase to advance their research. On Tuesday, February 27, from 1-5 pm, there will be a KBase Experience Room session to demonstrate how to use data and tools in KBase for research. The evening poster sessions on Monday and Tuesday will feature 14 different posters from KBase scientists and staff. Over the next month, you will notice a few big changes in KBase that will greatly improve your ability to explore and analyze data. Your Dashboard will soon feature a Search feature that will enable you to quickly and seamlessly search all public data and add it to Narratives for analysis. Additionally, you will be able to search public Narratives to discover workflows and analyses from other researchers in the KBase community. Similarly, we are retiring our JGI Push to KBase functionality and replacing it with a more fully integrated search that will let you find public JGI data of interest and add it to your Narratives to analyze. Also watch for the new Import tab in the Data Slideout, which will replace the current Import and Staging (Beta) tabs. Would you like to host a KBase webinar for your lab or a workshop at your institution? Contact us online, on Twitter, or on Facebook to learn more about hosting an event.